I humbly wish to make an introduction to you, hence I will be doing my utmost and strive to accomplish our common goals in Nordmark. I am Thomas Näslund, but for the sake of simplicity you may call me by “Ford”. The good company board, has elected me to fulfill the shoes of the UPIR Nordmark branch as project manager. To achieve out goals, and prosper with your great people I bring with me a dedicated team. A team that has the experience and passion to do what is necessary to accomplish our goals and uplift Nordmark and its people to its proper state. With me, I have numerous people, all in their right place and position to use their talent to the extent. Mr.Snowman who I am confident that will use his extent and valuable experience in vehicular coordination to guide our mechanical divisions to their full potential. I grant him full access and authority to do the job he is required to do. All orders and question directed to the UPIR Vehicular IRON SKULL division shall from henceforth be passed to him. Mr.Vinni, to whom I have given the burden not to be seen and in the same time to be felt everywhere. He will be my eyes and ears, my cloak and my dagger. He is the right man for the job no one would want, yet you can count that whatever task is set for him, will be done cost efficient. Therefore I urge you to redirect all your concerns towards the UPIR special operations SHADOW branch in Nordmark to Mr.Vinni. Mr.Hazardous, witch I have dedicated to the task to aid me in the project management of the UPIR Nordmark branch. His exclusive experience in foreign and domestic coordination and management which makes him an irreplaceable asset in the Nordmark management board. As the chosen face of the company, don’t let his charm fool you. 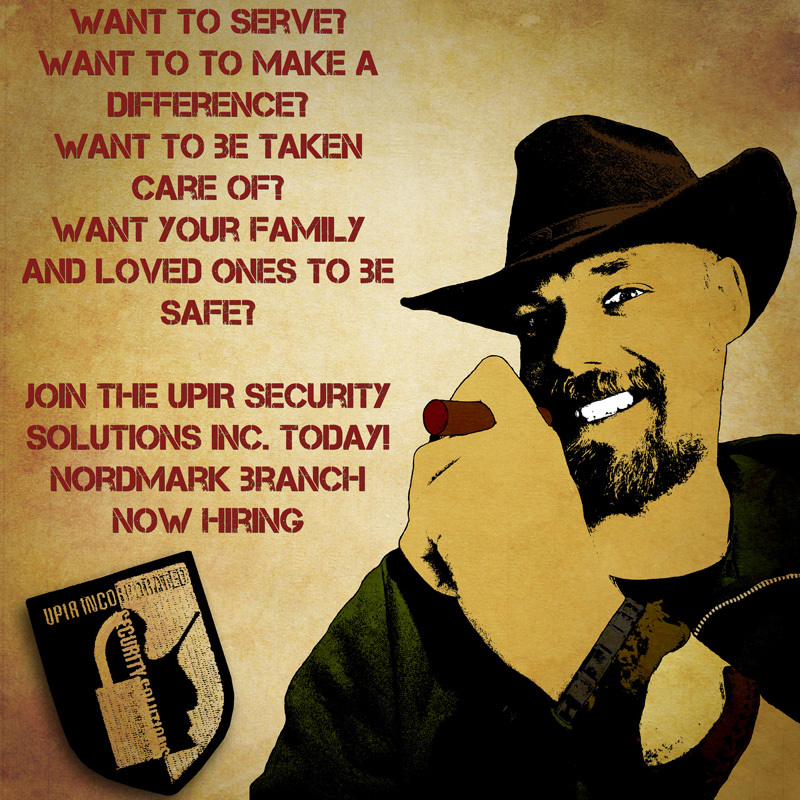 Any official Nordmark UPIR concerns can with ease also be directed to Mr.Hazardous. 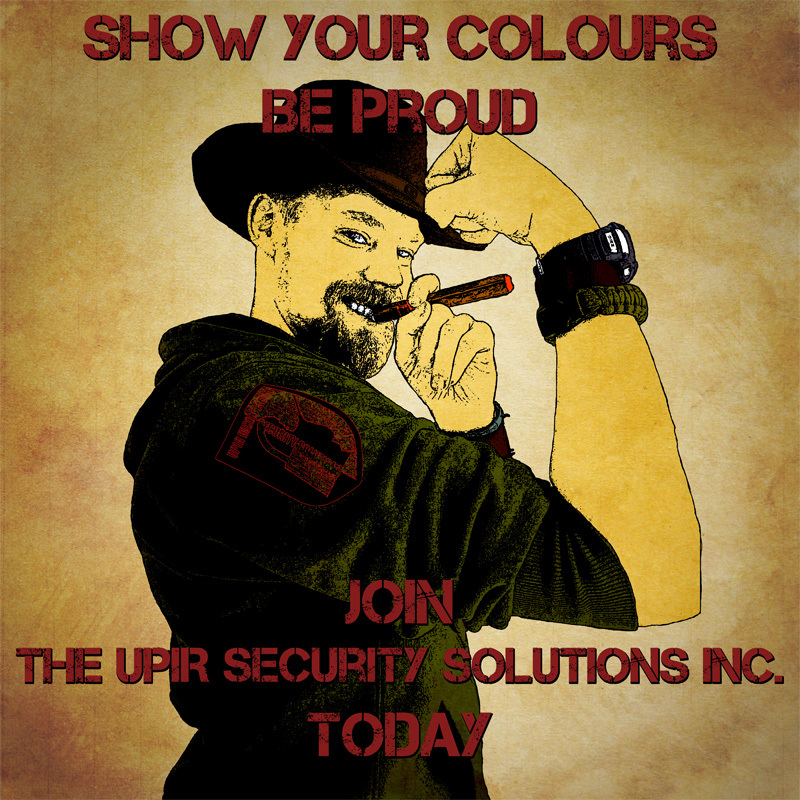 There are plenty of important people involved in such a big organization as the UPIR Security Solutions inc. but these are the ones, our HR department thinks should be reported as public figures. The Nordmark branch urge all management position seeking employees to step forward. To accomplish our goals, we need every employee to do their utmost best. Hence we are all in the same boat. Nordmark shall rise to former glory! Last edited by Hazardous on 19 Mar 2017, 13:47, edited 1 time in total.